Dorsett Shepherds Bush Hotel in London was once the biggest cinema in the world outside the US and is now owned by the Asia based hotel group Dorsett Hospitality International. Dorsett Shepherds Bush Hotel in London was once the biggest cinema in the world outside the US and is now owned by the Asia based hotel group Dorsett Hospitality International. 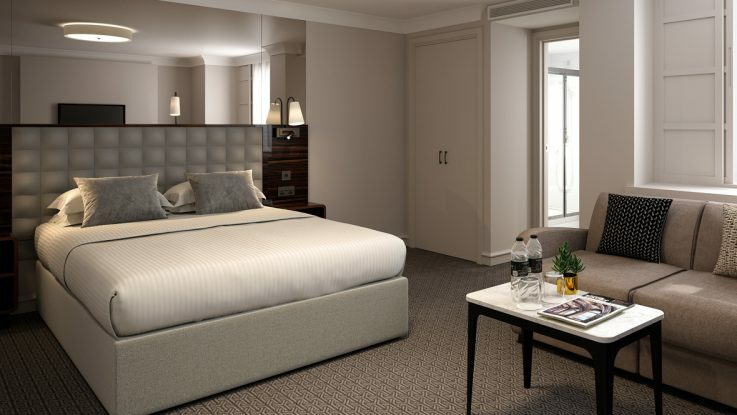 Newhey Carpets worked alongside Brand Architects to manufacture over 8,000 square metres of carpet for guestrooms at the London based hotel. This 1923 Grade II listed building, formerly the Pavilion Cinema, was damaged during the Second World War. The two year multimillion pound renovation has retained the building’s historic façade that overlooks Shepherds Bush Green. 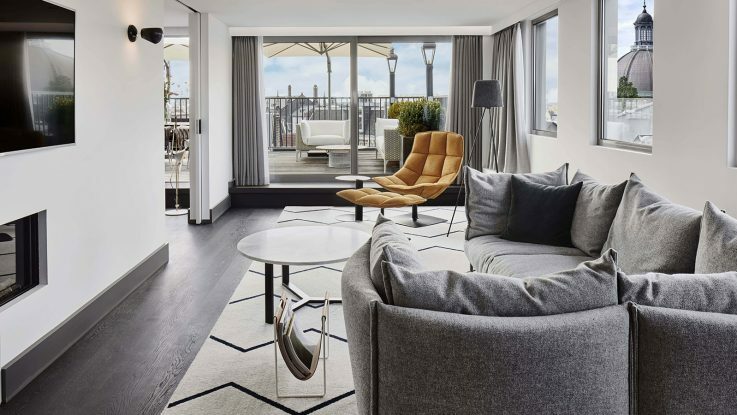 The accommodation is now a place where heritage meets contemporary elegance, making Dorsett Shepherds Bush Hotel a sought after destination for both business and leisure travellers. The eight storey hotel with 317 rooms boasts modern architecture and design. The rooms come in two styles, Chinese and contemporary. 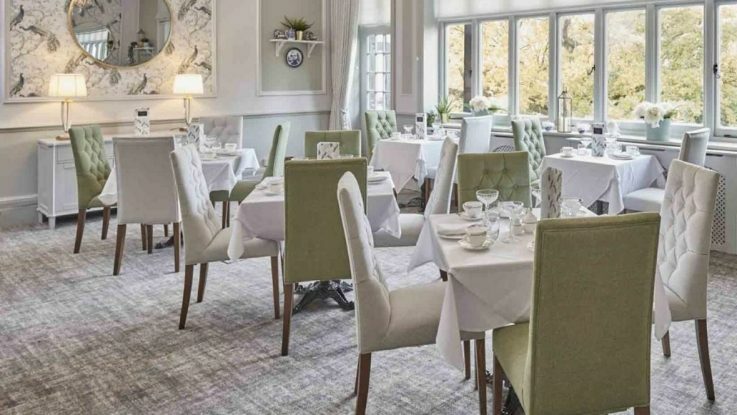 It was essential that the bespoke manufactured carpets accurately reflected these themes. Colortec+ is an advanced form of high speed patterned tufting technology, using computer yarn placement technology, it provided the hotel the option of bespoke and complex designs not usually associated with tufted carpets. 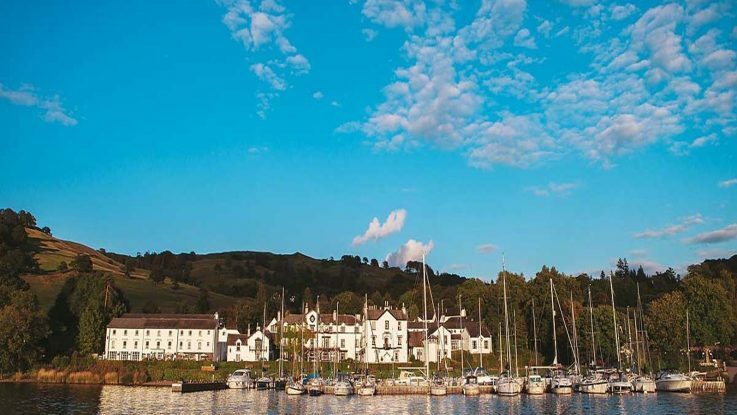 Over 3,500 square metres of Newhey’s Lines Stock Collection in cool silver was also selected for the hotel. 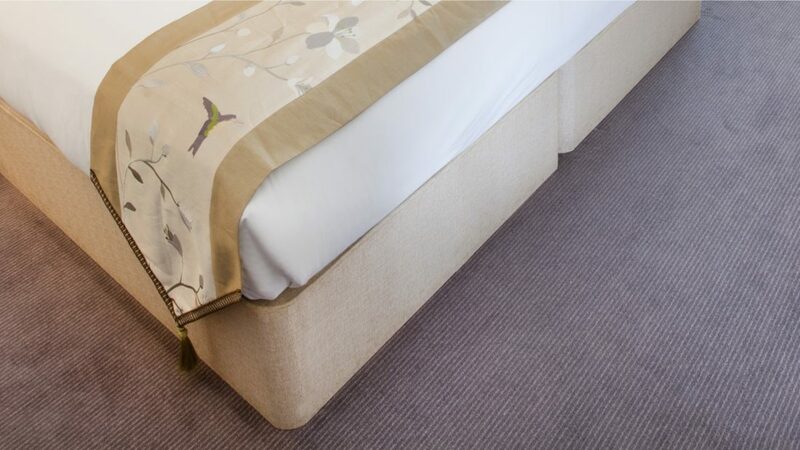 Lines provided a distinctive smart look, a strong colour option and the combination of Twist and Velvet yarns which proved perfect for the cutting edge guestrooms. 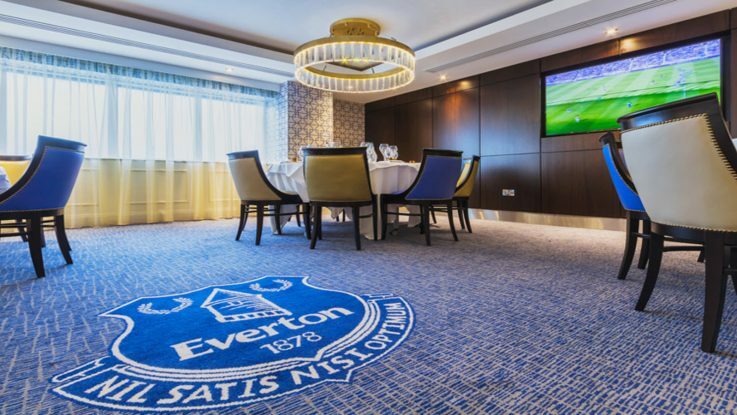 Evobac secondary backing system, which is made using 100% recycled plastic bottles, was specified with all of the carpets. This created a more stable, durable product with increased underfoot comfort and insulation properties. 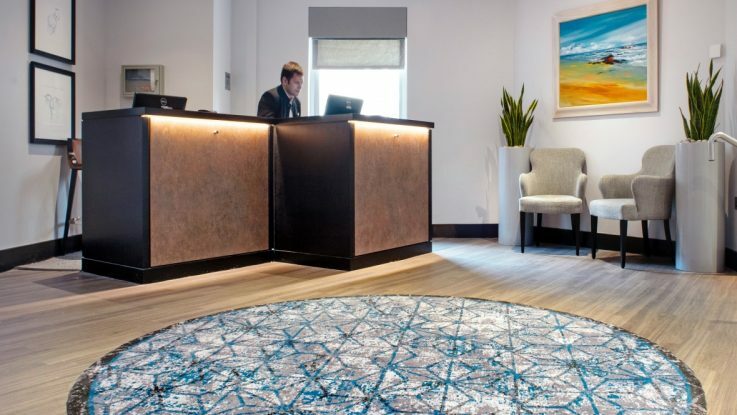 Both carpet designs chosen were perfect for the high footfall traffic areas in the hotel. 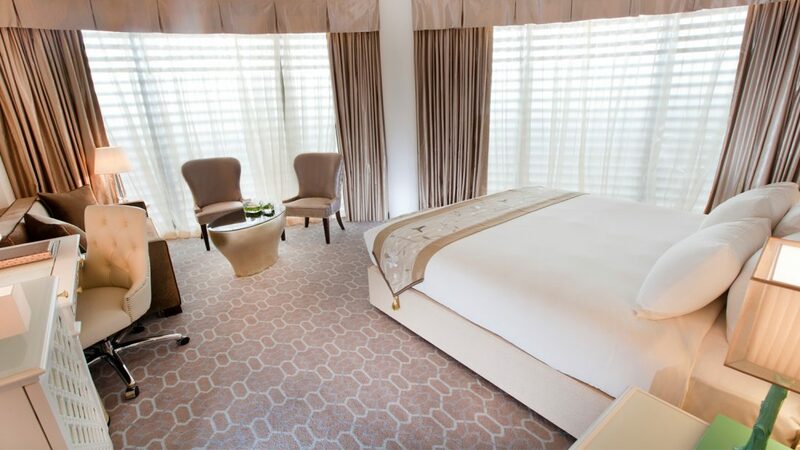 The uniquely designed carpets help to create a stylish and comfortable setting and have transformed the hotel accommodation to satisfy even the most discerning of guests.